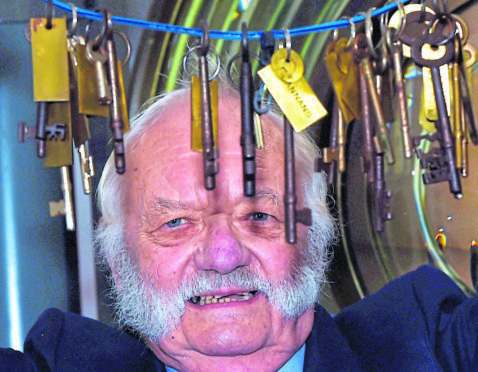 Dan Marshall with some of the lighthouse keys at The Scottish Lighthouse museum, Fraserburgh. A Scottish hotelier told yesterday how he was inspired to write a book after becoming the owner of a unique collection of keys for 83 lighthouses. Dan Marshall ended up with two canvas bags filled with more than 300 keys when he struck a deal with a visitor to the Aultguish Inn on the road to Ullapool in 1999. He had intended to use them to decorate the walls of his hotel until he realised they were all tagged and labelled. It soon became clear that the unusual artefacts opened the doors to many of the impressive beacons of the sea across Scotland as well as other buildings on the sites. Mr Marshall, 78, recently got in contact with the curator of the Scottish Lighthouse Museum at Fraserburgh and arranged to meet her yesterday. He travelled with his daughter Sandra Strachan to visit the building and show her the collection. Mr Marshall said he has been busy researching the history of the coastal buildings over the years and is almost finished writing his book Keys to the Lights. He said: “I started writing about the history with help from my sister-in-law Kate Doynbee – there are so many interesting stories about these lighthouses. “The man arrived with the bunches of keys and after a wee dram we came to a deal and that’s how I ended up with them all. “He worked for the Scottish lighthouses in some way but I don’t know his name. “They were given to me in two canvas bags, tagged and in sets with others of the same name – I then realised as well as lighthouse keys we had keys to the wood boxes, coal sheds, the lights themselves and other things like that. Mrs Strachan told how she had also grown interested in her father’s project. She said: “Dad used to always talk about these keys but it wasn’t until recently when he started writing about their history that I took more interest in it. 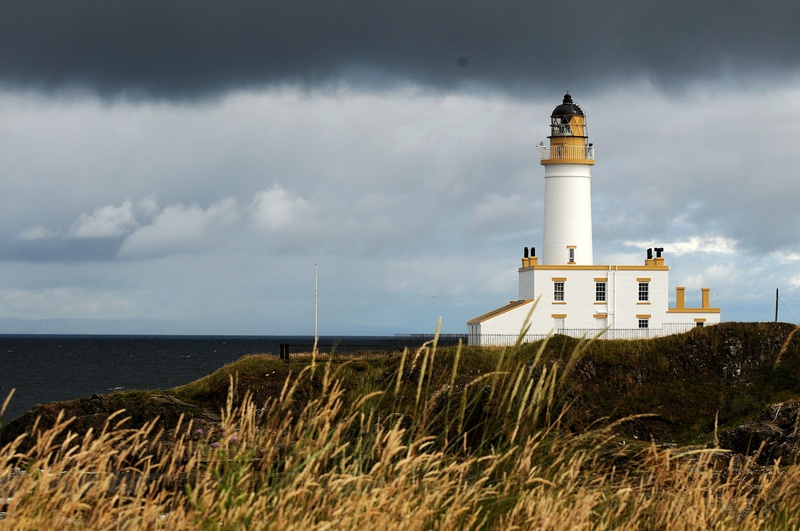 The lighthouse at Turnberry Golf Club. 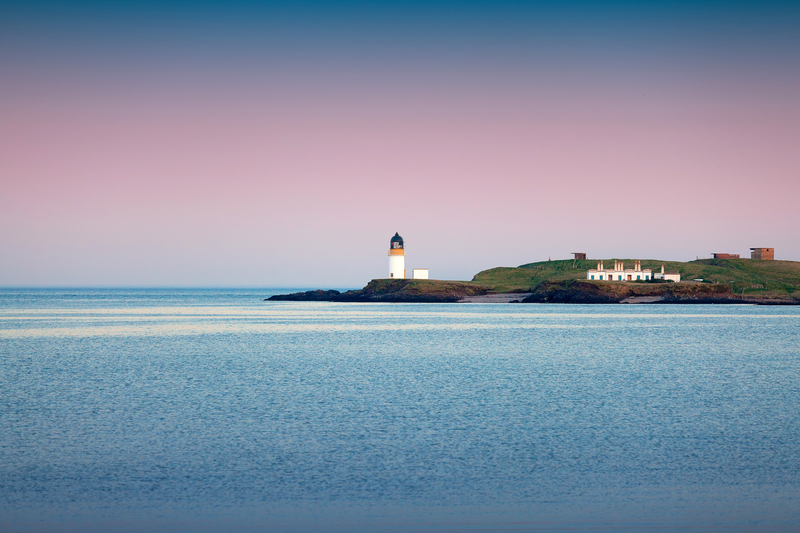 Among the collection are the original keys for the picturesque buildings at Turnberry and Cape Wrath as well as the lighthouse on the remote Flannan Isles where three keepers mysteriously disappeared just four days before Christmas in 1900. Linda McGuigan, manager at the museum, said she would be keen to exhibit the keys at the popular tourist attraction. She said: “When Mr Marshall told us of his key collection we couldn’t wait to see it and began our own frantic research. “It’s a great collection and would make a wonderful exhibition. “The keys probably shouldn’t have been given away but I’m happy to see them – one of our trustees was the lighthouse keeper for a house Dan has the key to. 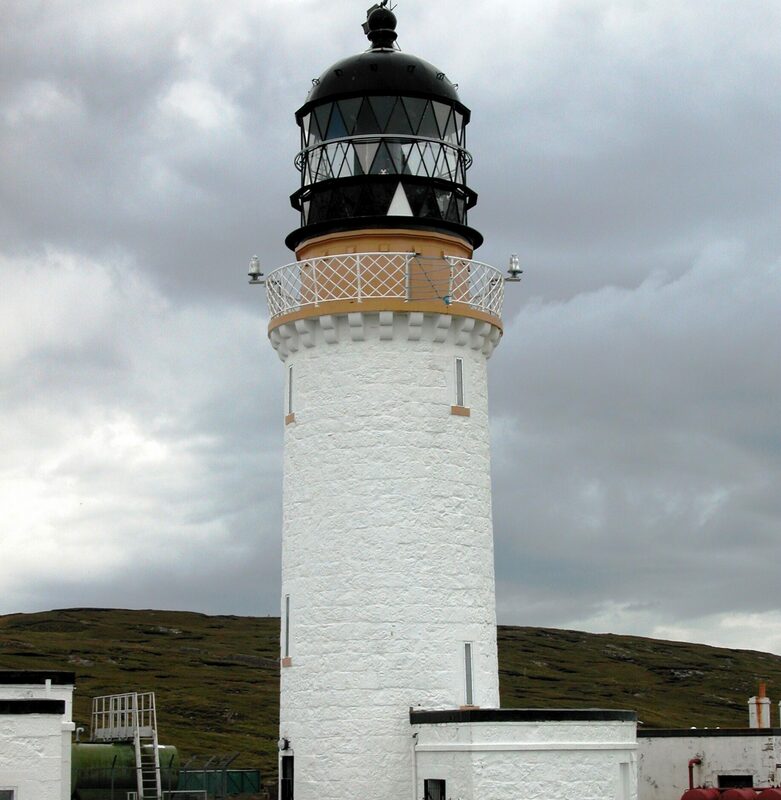 The Flannan Isles lighthouse is arguably one of the most well-known lighthouses in the north of Scotland. Built in the late 1800s, the 75ft tower at Breascelete, west of Lewis, has an air of notoriety. Just one year after it was first lit up, tragedy befell the three lighthouse keepers who all disappeared under mysterious circumstances. Initial speculation suggested that the trio had been swept to sea during a spate of bad weather, but no bodies were ever found nor any evidence as to what had happened. More recent theories have veered into the supernatural with the possibility of an alien abduction thrown out by enthusiasts working to solve the case. Unsurprisingly, nothing concrete has ever been tabled to back this up. 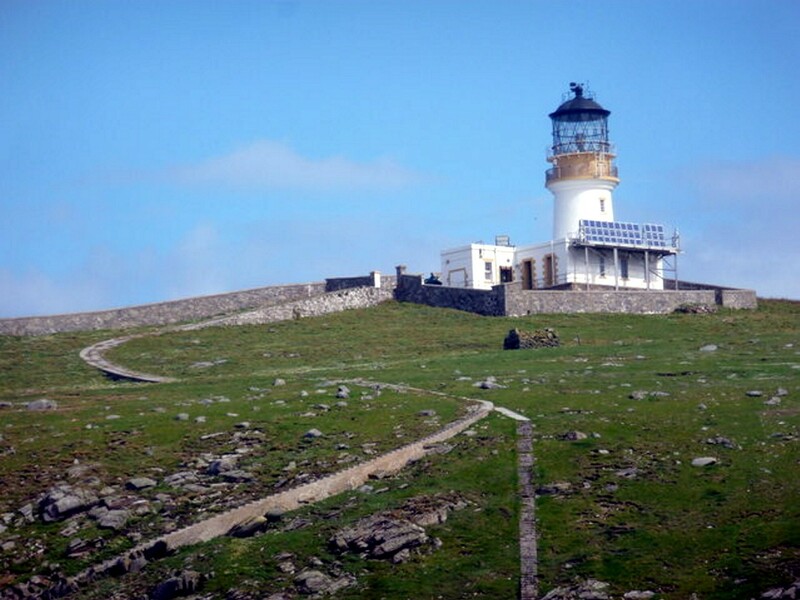 While the Flannan Isles spot may have the most storied history, many tales hide behind the doors of the other lighthouses Mr Marshall holds the keys to. Bass Rock, in the Firth of Forth, was designed by the cousin of famed writer Robert Louis Stevenson. However, this connection is often overshadowed by the lighthouse’s current occupants. 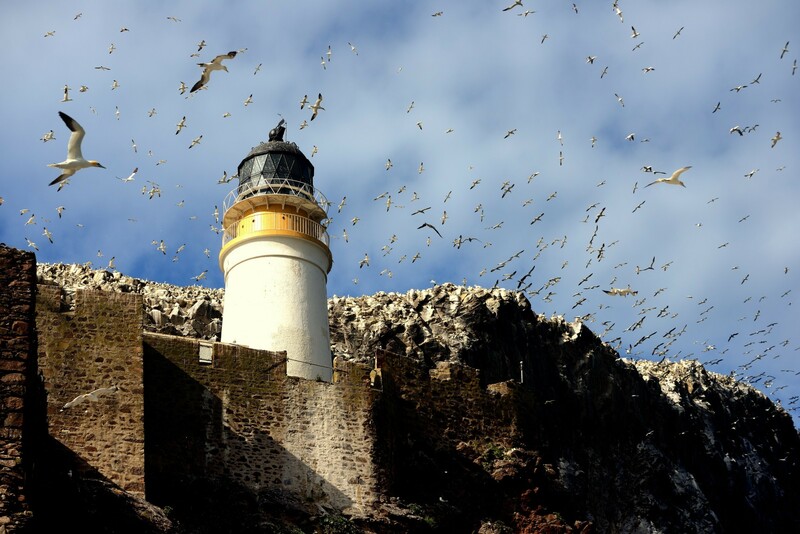 At the peak during breeding season, more than 150,000 gannets can be found nestled among the tiny island’s sheer clif faces – the largest “single rock” colony in the world. The sight is so spectacular it has even been dubbed one of the “12 Wildlife Wonders of the World” by Sir David Attenborough. 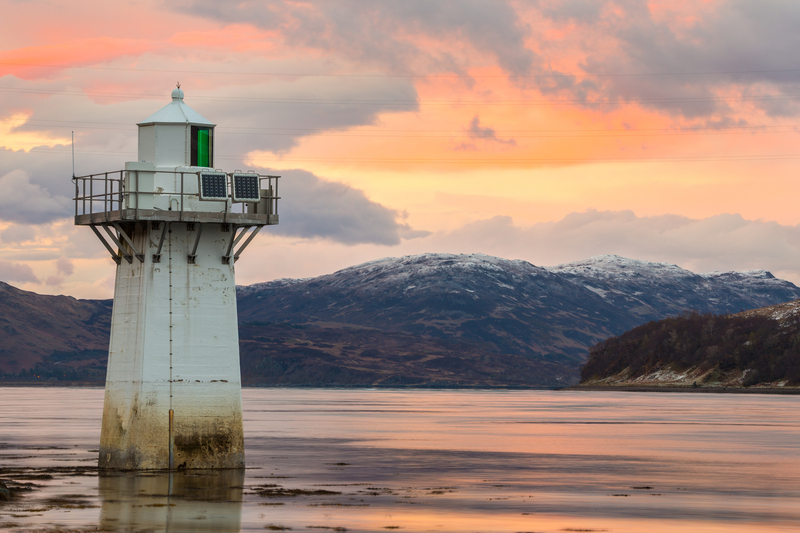 Further north, the key to the unusual Eilean Glas lighthouse on Scalpay is also in the collection. While many of these coastal towers stand proud in bright white this structure, which dates back to 1824, sticks out with its traditional bands of bright red. 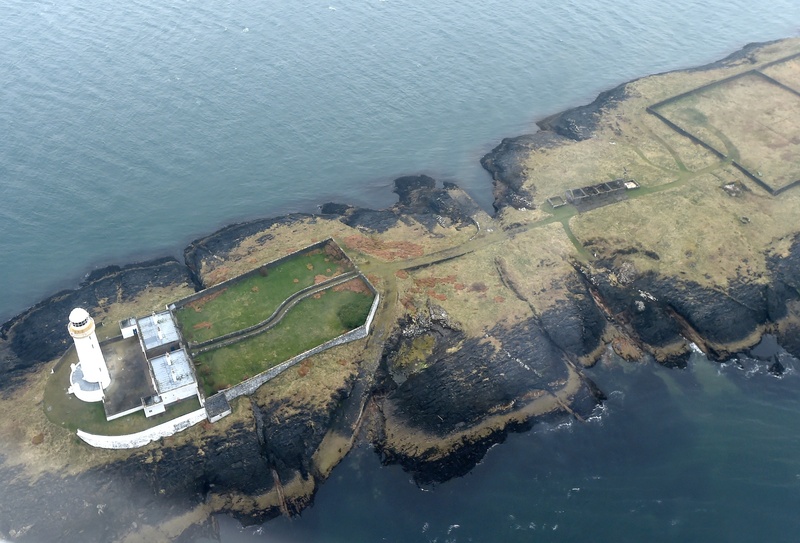 The lighthouse was one of the first four ever to be constructed in Scotland and its first foundations were actually laid decades previously in 1787 with work taking place in later years to expand it.